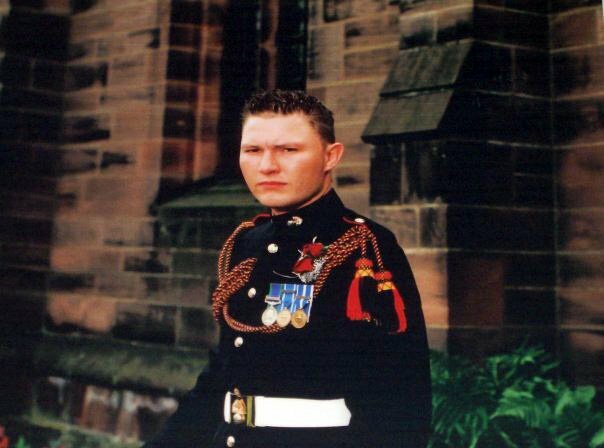 Sergeant Simon Valentine, or 'Val' to his mates, was born in April 1980 in Bedworth. He joined the Army in May 1997 and started phase 1 training in Bassingbourn before completing his infantry training at ITC Catterick and joining 2nd Battalion The Royal Regiment of Fusiliers (2 RRF) in Celle, Germany, which was an armoured infantry unit at the time. Shortly after arriving in A Company, he completed numerous exercises in Poland and Canada and was hand-picked from the battalion to deploy to Kosovo with the Royal Highland Fusiliers in 1999. On his return from Kosovo he passed a demanding Junior Non-Commissioned Officer cadre and was promoted to Lance Corporal. Subsequently he moved to C Company and redeployed with them to Kosovo in March 2000, before returning and passing the sniper course. After Kosovo the battalion re-rolled to a light role infantry battalion and moved to North Luffenham in England, where Sgt Valentine completed the Close Observation Platoon (COP) course. From North Luffenham he deployed on a six-month operational tour of Northern Ireland, based in South Armagh. After a short time off, the battalion redeployed to Northern Ireland, this time to Belfast for public order operations during marching season. 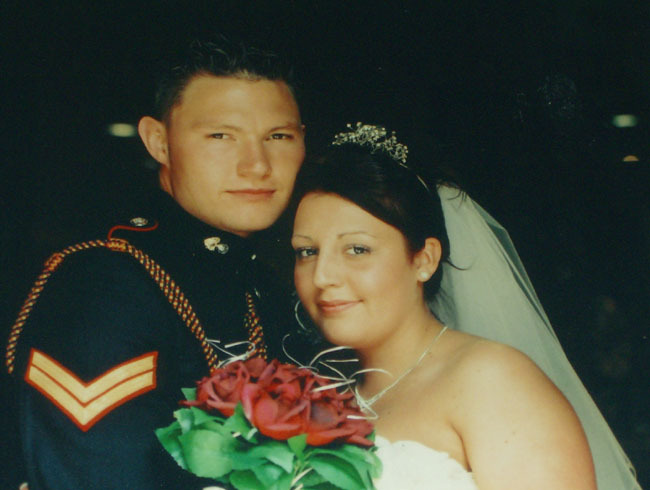 In 2002 Sgt Valentine married Gemma, whom he had known since they were at school together. During his time in North Luffenham Sgt Valentine was also involved in covering the fire strikes as well as being prepared as part of the Spearhead Battalion to move at short notice. The next post for the battalion was Palace Barracks in Belfast, where the battalion moved in 2003. Here Sgt Valentine joined COP and took part in various target-specific anti-terrorist operations. From Northern Ireland he deployed to Iraq with C Company and on his return was selected to attend the Section Commanders Battle Course which he passed with ease and was soon promoted on his return to the battalion. The unit moved again in late 2005, this time to Cyprus, based at Alexander Barracks in Dhekelia. After taking part in Exercise Saffron Sands in Jordan, Sgt Valentine deployed straight from the desert to southern Iraq for three months as part of the Theatre Reserve Battalion commitment. A short Christmas leave followed, and then he deployed to Sangin, Afghanistan, as an attachment to C Company from Fire Support Company, where he was part of Drums Platoon. After the tour of Sangin, Sgt Valentine completed the demanding Platoon Sergeants Battle Course in Brecon in late 2007. In March 2008 the battalion moved again, to Cavalry Barracks in Hounslow, where they are still based. Here Sgt Valentine was an integral part of Drums Platoon and completed an intensive period of public duties, performing duties at Buckingham Palace, Windsor and the Tower of London. Sgt Valentine returned to A Company and took over as Platoon Sergeant of 2 Platoon at the beginning of November 2008. He trained with the platoon to prepare them for Operation HERRICK 10 from November until deployment in April 2009. 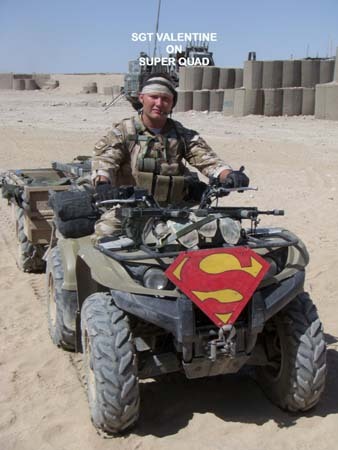 A Company Group was attached to the 2 RIFLES (2nd Battalion The Rifles) Battle Group for this deployment and Sgt Valentine was based with his platoon near Sangin, where he was tragically taken from us by an explosion on 15 August 2009. "Simon, above all else, was a truly loved father, son, husband and friend. To have known him was to have loved him." "Gritty, indomitable and with a rucksack full of charm is how I will remember Sergeant Valentine, one of my Fusilier heroes. I met Sergeant V first in Hounslow and he was infectiously upbeat - about everything. "Sergeant Valentine was the sort of Platoon Sergeant that all Company Commanders want. A totally professional, meticulous soldier whose personal focus and drive masked a genuinely compassionate nature, a wonderful sense of humour and the keenest of eyes for the well-being of his men. "The empty space left by the huge personality that was Val is not something that any of us in 2 Platoon will be able to avoid. As Platoon Sergeant he was outstanding, and he had worked tirelessly over the last four months of this difficult tour to bring the guys home safely at the end of it. It breaks my heart that he will not be one of them. He was every bit the family man, he absolutely adored his wife Gemma and their two young girls, Niamh and Chantelle, and wouldn't stop talking about them. "Val had three main obsessions which you would notice every day in the FOB [Forward Operating Base]: superheroes (particularly Superman, going as far as painting a big 'S' sign on the wall, and hanging another one above the door of our room, even putting it on the front of the quad for a patrol on one occasion); keeping things clean and tidy (not one of my strong points); and a twice-daily trip to the gym for Op Massive. "I will miss his cheeky sense of humour, I will miss him telling me he was 'awesome' on a practically daily basis, but I will especially miss having him around to talk to at the end of the day. The world is a poorer place without Val, all of us in 2 Platoon will remember and honour him as we see the rest of this tour through. At this awful time my thoughts and prayers are with his family whom he loved so dearly." "It is difficult to put into words how we all feel about Sergeant Valentine. He was an exceptional Platoon Sergeant, a superb example of a soldier, keen, fit and always immaculately turned out. He had a fantastic rapport with his entire platoon and they all idolised him. He could brighten up any room with his big smile. Sergeant Valentine had an odd fixation with the Marvel comic superheroes and he loved all of that stuff. 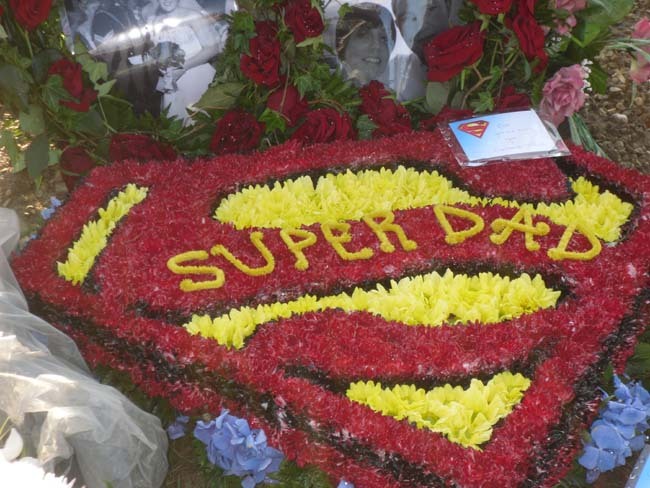 To us he will always be a superhero. We will miss him so much. Our hearts and prayers go to his wife Gemma and their daughters. God Bless." "The empty space left by the huge personality that was Val is not something that any of us in 2 Platoon will be able to avoid. As Platoon Sergeant he was outstanding, and he had worked tirelessly over the last four months of this difficult tour to bring the guys home safely at the end of it. It breaks my heart that he will not be one of them." "I have known Sergeant Valentine for 12 years during our time in the battalion. He was a remarkable, outstanding, strong, professional soldier who always seemed to see the positive side to everything he did. He was always willing to give advice to the younger members of the company and went out of his way to ensure his men were well equipped and prepared prior to every patrol. "Simon, it has been an absolute honour to have known you and worked alongside you on operations. You will go down in my book as a legend and good friend who showed no fear just like a true 'SUPER HERO'. Our thoughts and prayers within the FSG go to his wife and girls at this devastating time." 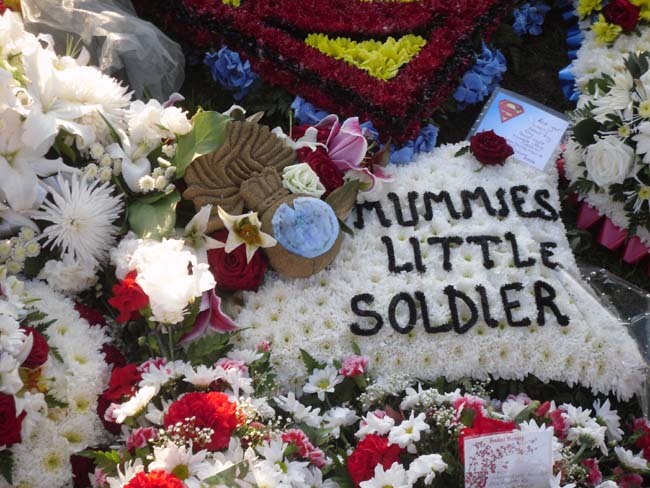 "Above all, I remember Sergeant Simon Valentine as a man who adored his family. 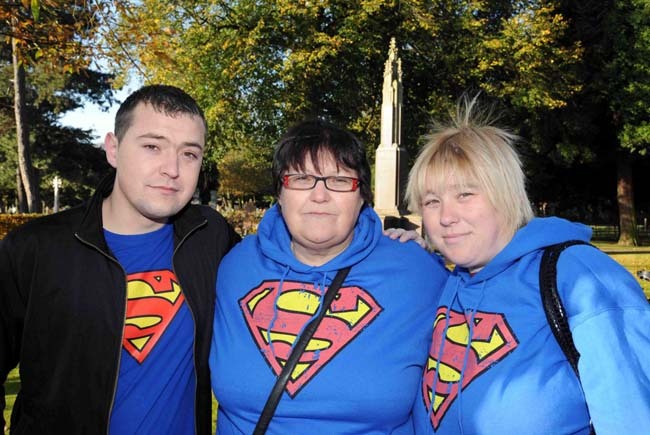 His wife Gemma and his two children Niamh and Chantelle meant the world to him. His desire to progress in his career and the Battalion was driven to provide his family with the life they deserve. 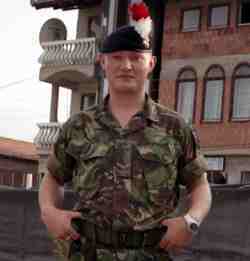 I've known Simon for nearly ten years and served with him in both B Company and C Company. He always stood out as a soldier that would achieve great things within the Battalion. He always put his soldiers first and this was the case on his R&R when he gave up nearly a week of his leave so his soldiers could get on the last available helicopter to avoid missing any of their leave. A true testament to the kind of man he was. "I have known Sergeant Valentine for 12 years during our time in the Battalion. He was a remarkable, outstanding, strong, professional soldier who always seemed to see the positive side to everything he did. He was always willing to give advice to the younger members of the Company and went out his way to ensure his men were well equipped and prepared prior for every patrol." "Sergeant Valentine was one of those people who touched everyone around him and for that he will be greatly missed. He always looked out for 2 Platoon and always did his best to make sure that each and everyone of us were looked after." "Sergeant Simon Valentine was clearly hugely experienced; a true leader of men who was admired by all those who served with him. The news of his death is deeply saddening and I extend my condolences to his family, friends and all those who benefited from serving with this excellent soldier."